A conceptual look at the proposed Armour Corners project. 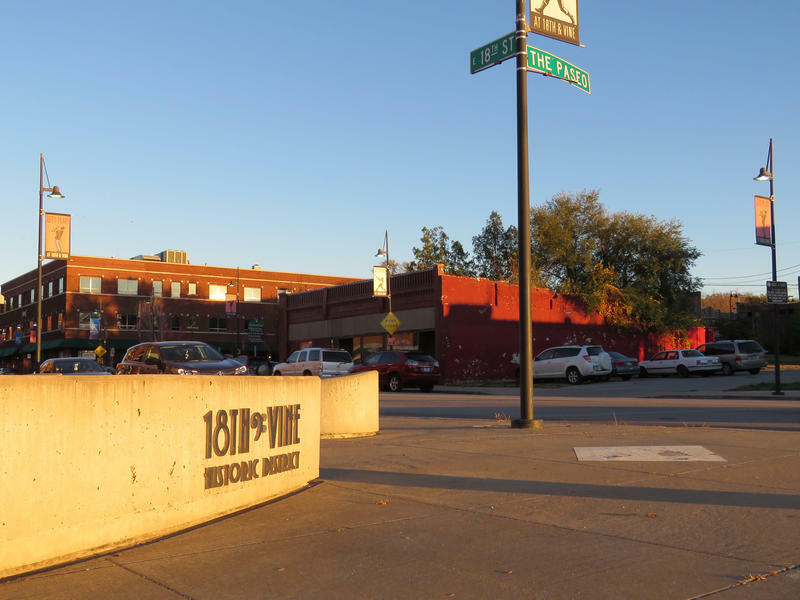 A “transformational” plan that would add hundreds of apartments and new businesses to the rundown intersection of Troost and Armour was unanimously endorsed Tuesday by the Kansas City Plan Commission. 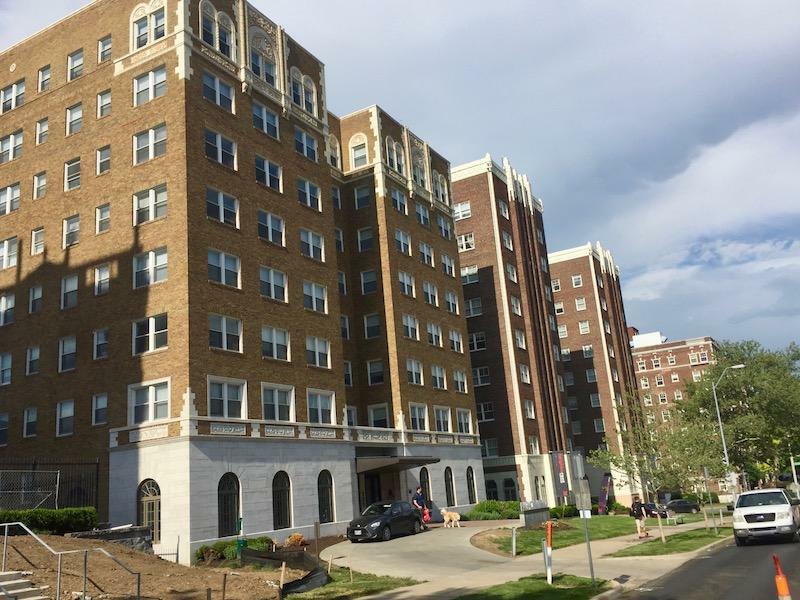 Chicago-based MAC Properties, which has developed more than 1,500 apartments along Armour Boulevard over the last decade, wants to invest $78 million in its biggest project to date. It would add 450 apartments and 27,000 square feet of retail to the area. It received a warm welcome from the Plan Commission. “It’s good that our city is becoming more dense, and people are walking and looking at transit now,” Chairwoman Babette Macy said before the vote. The proposal will now go to the City Council for final consideration later this month. Developer Peter Cassel of MAC said the redevelopment plan, called Armour Corners, was two years in the making and represented an important milestone in Kansas City development. MAC Properties has redeveloped dozens of apartment-hotels along Armour Boulevard over the past decade. In endorsing the project, the Plan Commission heard criticism by some neighborhood groups that it failed to provide adequate parking, was out of scale and could raise property values and make the area more expensive for current nearby residents. The preliminary plan calls for a building with a maximum height of eight stories and 80 apartments on the northwest corner; a maximum of six stories and 60 units on the southeast corner; a maximum of eight stories and 140 units on the southwest corner, and maximum of six stories and 60 units on the southeast corner. Another building with a maximum eight stories and 100 units is planned for a couple of blocks away near Armour and Cherry streets. As part of the proposal, the developer will need to get separate approvals on the buildings’ actual final design from the Plan Commission and the City Council. It also cannot open a tavern or nightclub without obtaining a special-use permit, and no liquor stores would be allowed. All the Troost/Armour buildings would include first floor retail, and Cassel envisioned a "retail village" at the intersection with 10 to 15 small businesses including 4 to 6 small restaurants. The strongest objection to the proposal came from the Hyde Park Neighborhood Association. Allan Hallquist, president of the association, said his members are concerned that developers aren't planning enough parking. “We don’t understand why new construction being done with city help does not provide adequate off-street parking,” he said. The part of the development located at Armour and Troost calls for 340 apartments to be served by 160 parking spaces. Hallquist noted that some of that parking will likely also be needed by the retail businesses in the project, not just residents. MAC Properties had originally proposed providing four spaces for every 10 apartments, a ratio it says has worked for the current apartment buildings it operates along Armour. 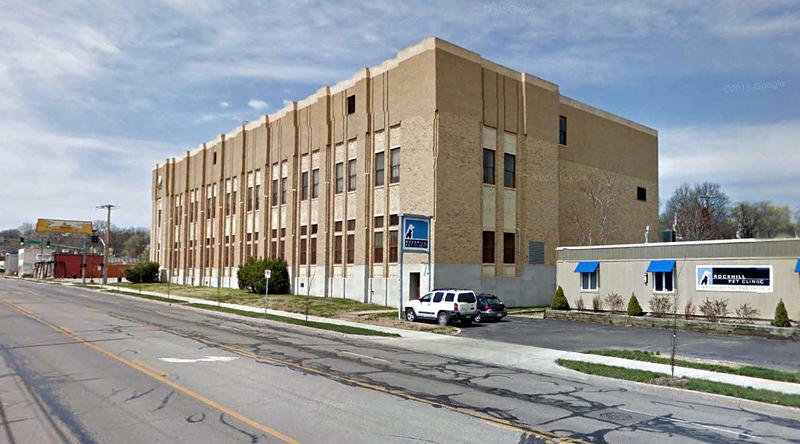 City planners recommended increasing that ratio to five spaces for every 10 units at the Armour and Troost section of the development, and seven for every 10 units at the building planned for 520 E. Armour. The plan endorsed by the Commission includes that increased parking requirement. All the parking would be on surface lots. The project was supported by the Squier Park Neighborhood Association. One resident of Hyde Park, Steven Mitchell, also testified in favor. He said the investment by MAC Properties in recent years has transformed the area. “The world is changing and parking patterns are changing,” he said. Cassel also said 294 planned studio and one-bedroom apartments will have rents below $1,000, a figure he noted was below the City Council definition of affordable. As part of the development plan, teachers and other public employees also will receive a 10 percent discount on their rent. Kevin Collison, a freelance contributor to KCUR 89.3, writes about downtown Kansas City for his website CityScene KC. Kansas City’s East Side is receiving renewed attention this year with several initiatives aimed at attracting investment to an area that’s struggled economically for many decades. Topping the list is a grassroots proposal championed by East Side clergy and others that will ask voters next month to approve a 1/8th cent sales tax increase. It would generate an estimated $8 million annually to support development east of Troost Avenue. There are other new plans and proposals as well. 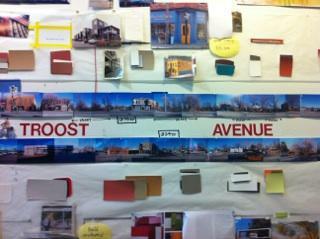 The “East Brookside” redevelopment plan is rolling forward. 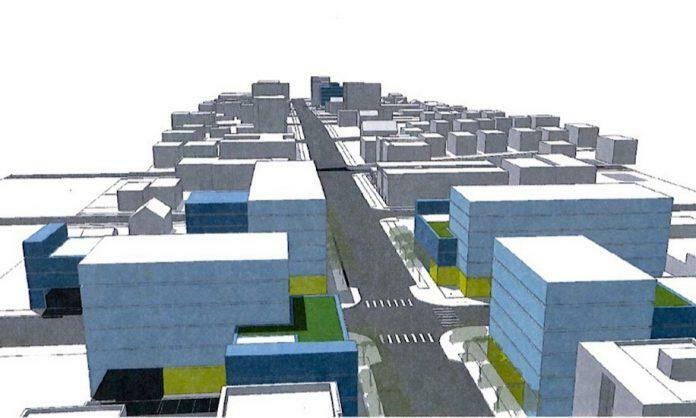 The Kansas City Council Planning Zoning and Economic Development Corporation approved basic redevelopment plans for the area along 63rd Street from Oak to Troost Avenue on Wednesday. A proposal to reduce blight along the Troost Avenue corridor in Kansas City has received initial approval from the City Plan Commission. Commissioners backed the plan in a unanimous vote Wednesday, sending the plan to the Planning and Zoning Committee for review on July 15.